Could You Benefit From Psychotherapy? Do you have trouble falling asleep or difficulty sleeping through the night? If so, you may suffer from insomnia. According to SleepEducation.org, upwards of 35% of adults have brief symptoms of insomnia, with 10% of the population suffering from chronic insomnia disorder. Sleep deprivation can negatively impact your daily life. 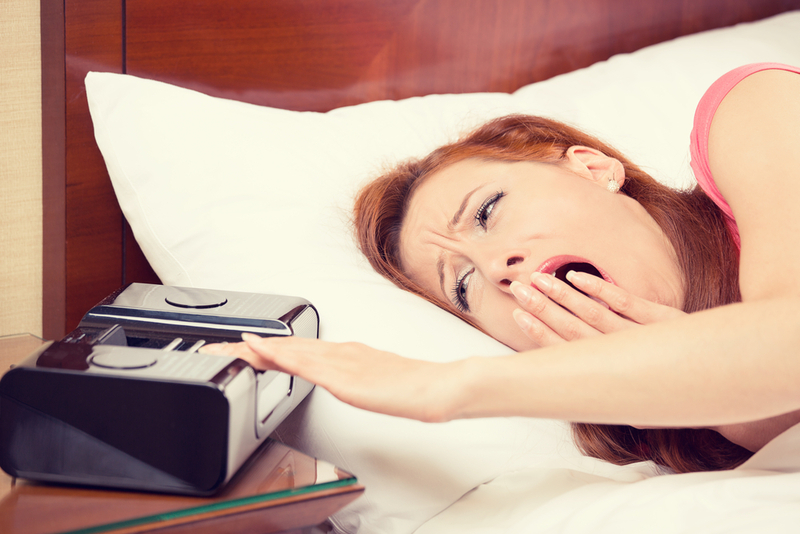 If you’re not getting a good night’s sleep, you may feel sluggish, unmotivated, and unable to concentrate at work. Additionally, as insomnia can impede your focus and cause sleepiness, sufferers are at risk for causing an accident. Research shows 20% of non-alcohol related car crash injuries are caused by tired drivers. If you suffer from chronic insomnia, it’s important to seek treatment. Stuart MacFarlane, a Jungian analyst, has found psychotherapy to be an effective treatment for insomnia. With psychotherapy, you can determine the underlying reason for your insomnia and address it head on. In fact, the American College of Physicians recommends psychotherapy before taking sleeping pills. Talk to your doctor about how psychotherapy can help improve your sleep. Posted on October 20, 2016 Tags chronic insomnia, insomnia, psychotherapist Stuart MacFarlane, Stuart MacFarlane analystLeave a comment on Do You Have Chronic Insomnia? Do you feel overwhelmed, nervous, and overly self-conscious around others? Do you avoid places where other people are and have difficulty making friends? If so, you may be suffering from social anxiety disorder. Also known as social phobia, social anxiety disorder is a mental condition characterized by an excessive and unreasonable fear of social situations. People with social anxiety have a fear of embarrassing themselves and being judged, ridiculed, and criticized by others. For some people, their intense anxiety in social situations can result in a panic attack— a sudden surge of overwhelming fear and anxiety that can make you feel like you’re dying or going crazy. Social anxiety can cause you to feel great distress, such that you may choose to avoid social situations altogether. While people with social anxiety often realize their anxiety is unreasonable, it is still extremely difficult, and may feel seemingly impossible, to overcome. Without treatment, social anxiety can interfere with your relationships and daily routine, such as school or work, and impede your overall quality of life. Those with the condition may feel anxious when interacting with others, eating and drinking in front of others, speaking in front of people, asking questions, talking on the phone, or being the center of attention. It is sometimes connected to other mental problems such as panic disorder, depression, and obsessive compulsive disorder. In addition to feeling anxious in social situations, social anxiety disorder can cause physical symptoms, such as a pounding heart, sweating, blushing, shaking, upset stomach, muscle tension, and confusion. Children with social anxiety might also exhibit crying, tantrums, and clinging to a parent. Fortunately, there are a variety of treatment options that can help you manage or even overcome your social anxiety, such as medication and/or therapy. Stuart MacFarlane, a Jungian analyst, is a big proponent of psychotherapy, as it helps patients discover the root of their anxiety and develop coping mechanisms to control their symptoms. Talk to your doctor about your symptoms and the best way to treat your anxiety. Posted on October 19, 2016 Tags anxiety, psychotherapist Stuart MacFarlane, social anxiety disorder, Stuart MacFarlane analystLeave a comment on What Is Social Anxiety Disorder? Sometimes we can get entangled by old memories and their associated negative emotions. Of course self-reflection can be helpful, but rumination is pointless, endless and destructive. Dwelling on your old misfortunes and problems merely increases your distress. Perhaps you’re replaying old conversations you had with your ex, beating up on yourself up over something that you or they said. This type of memory just creates unnecessary chaos and unhappiness and hinders your ability to move on. When you are, it can affect you in many ways. 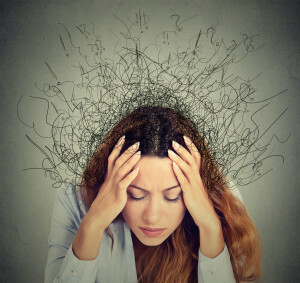 Research has found that ruminating over negative events makes you more likely to experience anxiety, depression and post-traumatic stress disorder and can lead to unhealthy coping mechanisms like overeating or substance abuse. The longer and more often you think of those past problems, the harder it is to salvage your psychological well-being. Although it is a difficult cycle to break there are things you can do to feel better and behave in a more productive manner. Check out these five tips to stop ruminating, as shared by psychotherapist Stuart MacFarlane. When you begin to replay that painful memory over again, learn to take note of when you’re doing it. The faster you notice yourself ruminating, the faster you can choose to do something more productive. Dwelling on your problems is not helpful unless you are seeking to find a real solution. Ask yourself if you can actually do something to change the situation? If there is, facing the problem head-on might give you the clarity to empower you to move on. Take the time to learn from your mistakes, and to do what you can to solve the problem. And if there is nothing that you can do about it, of what use is ruminating? You mind needs a chance to process everything that goes on in daily life. Some people find it really helpful to build some alone time into their daily life. Adding some ‘creative thinking’ time into your daily routine can allow you to reorganize your thoughts so you can be more productive. Set aside a few minutes each day. You will notice the difference. Some people find it helpful to set up distractions when they begin to notice negative ruminating. They exercise or call up a friend to chat about something completely different. Channeling energy into something more productive and useful has to be better than stewing over old negative memories. Mindfulness is being aware in the present moment. Mindfulness techniques have been found to be very helpful in the process of letting go of old painful memories. Living in the present is constantly rejuvenating. Consider talking with a psychotherapist about doing a course in Mindfulness. Everyone has experienced some stress throughout their lives and it can stem from a variety of things like work, finances and even relationships. When our body is subjected to stress, a number of things can happen like an increase in anxiety levels, energy loss and much more; it’s just an uncomfortable situation to be in but it usually subsides and we return back to normal selves. However, some of us may feel like we are excessively under a great amount of stress all the time and when that happens, it’s no longer being just stressed out, it’s a psychological issue that needs to be address. With that being said, those who consistently feel too overwhelmed to deal with their problems may need to seek professional counseling through psychotherapy to help them get out of their rut. Did you know over a quarter of all adult Americans experience and suffer from anxiety, depression or another mental disorder in any given year? According to the National Institute of Mental Health, nearly 37% percent seek treatment through healthcare use and a little over 42% seek treatment through any service, including healthcare. While there’s still a decent chunk of people not receiving treatment, it’s important to take care of your physical wellbeing as well as your mental wellbeing and you could benefit from psychotherapy. Considering psychotherapy can help you overcome the struggles you are dealing with like depression, drug or alcohol abuse, coping with the loss of a loved one and many other issues. It’s more detrimental to your psychological health to continue on without treatment from a professional because your feelings will only progress and make it more difficult to get through the day. In fact, psychotherapy and private counseling is very effective when it comes to treating an individual and a successful psychotherapist like Stuart MacFarlane, analyst, has used analytical psychology principles to help hundreds of people manage many psychological disorders. Are you ready to try psychotherapy to reach a better mindset? Posted on October 8, 2015 Tags psychotherapy, Stuart MacFarlane analystLeave a comment on Could You Benefit From Psychotherapy? The forefather of analytical psychology was Prof CG Jung. Unlike his onetime mentor, Sigmund Freud, Jung believed that the goal of psychoanalysis was not just to cure neurosis, but to achieve wholeness of the personality. To that end paying attention to, and the study of the individual’s dreams and fantasies, brings unconscious content into consciousness. Once integrated this leads to a more creative and harmonious balance between the conscious and the unconscious; between reason and instinctive drives, between the individuals’s inner life and their community. With that said, there are a few psychotherapy concepts involved in this branch of psychology that are important to understand. They include active imagination, individuation, collective unconscious, shadow, logos and nekyia. Read on to learn about each concept. Active imagination describes the process that Jung developed by which the individual interacts, and dialogues with images from imagination and/or dream. Here, drawings, fairytales, and role-play all fulfil a role. In Jungian analytical psychology dream content is not prescriptive, but by allowing undirected observation of the imagination interacting with dream content, a profound relationship can develop between the conscious and the unconscious. Jung described the process of moving towards the wholeness of the personality as “individuating”. This is where the person , through developing their unfulfilled potential, and by integrating contents of the unconscious into the conscious personality, becomes truly individual, but not egoistic. This is because the deeper levels of the unconscious, according to Jung, are collective and belong to everybody. The term “collective unconscious” was coined by CG Jung to describe levels of the unconscious that are not personal to the individual but that belong to all humans and ultimately to all living things. Hence, many experiences derive their intensity and meaning from the collective level of the unconscious. Its images cannot be explained in terms of the individual’s history but rather through the mythological and archaic history of all mankind. Here myths and fairy tales, and some storues and films gather their capacity to speak to whole generations or cultures. Thy exist as an evolutionary by-product according to Good Therapy. Jung used the word shadow to describe the aspect of the personality that belong to the individual but that the individual is not conscious of, and denies is a part of them; the aprts that are unacceptable and rejected. By coming to know the shadow and integrating its contents much inner conflict is reduced and much potential is fulfilled. Jung used the term logos to represent fact and reason, where it contrasts with feelings and imagination; between conscious and unconscious. i.e. logos versus mythos. Jung also aligned logos with the male counterpart; rationality, and the feminine with Eros, representing psychic accessibility and feeling connectedness. One of the key components of analytical psychotherapy according to Jung is Nekyia. This concept describes the process of diving into, or surrendering, to the unconscious in the process of deliberating or moving toward decisive action. Jung understood that at certain times during the process of individuation the individual was called on to make a “dark journey into a dangerous place” but that that was essential to achieve the goal. Without a “confrontation with the unconscious” and the subsequent integration of the individual shadow, individuation would not be possible. These concepts outline the necessary steps in the process of individuation in analytical psychology and many who practice this method of psychotherapy like Stuart MacFarlane, an Jungian analyst, have used these concepts to help patients.